I didn’t go to the show to shop, but rather to find out about cycling vacations. I am really interested in going on a cycling trip somewhere. I collected quite a few route maps and found quite a few cycling destinations. Now I just have to get in shape because some of the routes seem rather ambitious. As for swag–I was hoping for more. I came home with lots of trail and route maps, some back issues of magazines and even a tool catalogue. However, I was expecting more. I hoped for some socks, or a t-shirt, maybe a free water bottle… something. I guess it isn’t a car show. 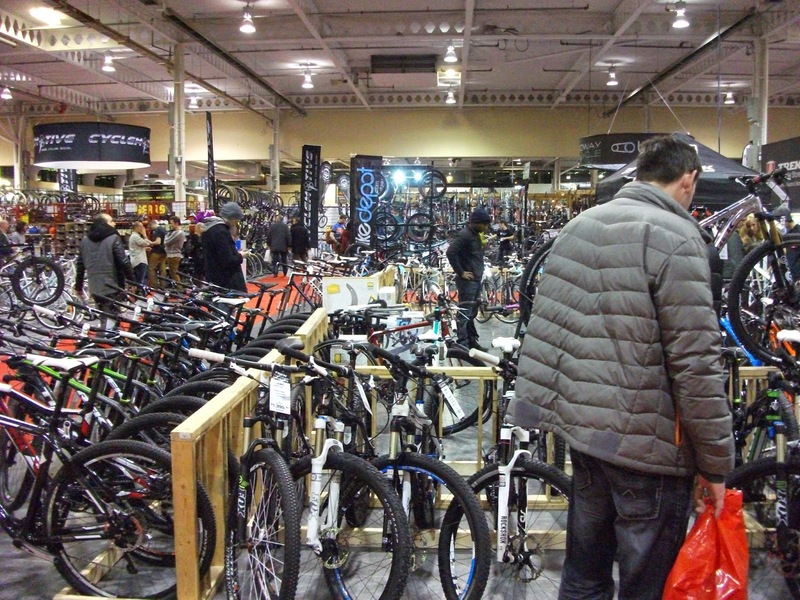 This entry was posted in Better Living Building, bicycles, bikes, cycling, entry fee, fitness, international, report, review, shopping, show, Toronto by Anthony. Bookmark the permalink.